How to Start a Business Online – Getting Into The Right Mindset – iPAS 2. The following video discusses how to start a business online, specifically about the importance of getting into the right mindset before starting working on your online business. 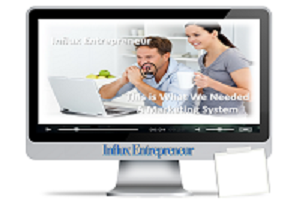 This video talks about how Bren and I mentor you in how to start a business online. Specifically, it talks about the importance of getting into the right mindset before starting any activity with your online business. I’d really like to encourage you into getting the right mindset for success as you are building your online business, pushing yourself beyond your comfort zone. There are times when the battle in your mind can go around in circles and make it very hard to move forward. The battle might start for no apparent reason or maybe you just allow self doubts to creep in and undermine your confidence. Whatever the cause of your self doubts, you have to know success is a battle hugely fought in the mind. If you believe those doubts, if you focus on your failings, success is going to be a long way off. It’s time to take charge of the way you think and take some steps to move towards your goals. Knowing yourself and what you want out of life can sometimes be the hardest thing of all. It’s easier to look at others and offer your opinion about who they are and what they should be doing, but when it comes to yourself things are often a bit more murky as self doubt and fear sets in, or ego takes over. Depending on your self-esteem you can either undervalue yourself or be so puffed up with self importance that you don’t see the reality. Start by taking the time to sit down with a pen and paper and write down some things about yourself. Start to really recognize or decide what matters to you in life, in business and in friendship and love. There is no judgement in this process, it’s simply a fact finding mission so that you can start to realize what really drives you. It’s possible you might need to gather up some courage and ask friends or members of your family what they think of when they think of you. You never know what you’ll learn. As you start to realize who you are deep down to your core, what it is the motivates you, what you are passionate about, then you can start to define how you will provide value to other people. Maybe you really love helping new fathers with parenting advice, or you go to bed at night thinking of all the ways you can help your friends generate wealth. These thoughts and passions can potentially become a business for you….. getting clear is a a major step when you consider how to start a business online. Gaining clarity about your purpose in life is so fundamentally beneficial you should at least start thinking and writing about it now. For some people setting goals is easy. They are goal driven people and always strive to achieve what they’ve set out for. Serious athletes would never make it to the Olympics without setting firm goals, Doctors would never get qualified without setting goals and you will never get where you’re going, if you haven’t even decided where it is your going! Imagine an airplane in the air… without a goal in mind the pilot will never know where to fly the plane! I’ve personally struggled with to-do lists and setting hard and fast goals on paper. Instead my personality is more suited to improvisation and ‘going with the flow’. If you take that approach and you are not careful, you can often end up with not getting anything done, procrastinating over what this is to do and then realizing a year later that things still haven’t changed. I think the problem is we can set goals that are too big for us initially and that overwhelms us. Once overwhelmed it’s easy to be hard on yourself and think you’re a failure so you give up. The best way to start today is just to have bite sized goals. Maybe even divide them up into ‘Easily Achievable’, ‘Harder’ and it ‘Wouldn’t it be awesome’. This is a similar approach that Tony Robbins suggests. You need that “Wouldn’t it be awesome” goal because you don’t want to limit your thinking. But you also need those bit sized goals to have a feeling of accomplishment (I often call these smaller goals, “milestones”). If you’re a person that really struggles with goal setting and creating to-do lists then I’d like to recommend Charlene Johnson’s 30 day push. It’s a free 30 day step-by-step help for you to become more organized, set goals and move forward. You are human. No point arguing that. You have feelings that change frequently. To have a successful mindset you cannot afford to live by your feelings. Feelings are often unreliable and lead you astray so that you don’t fulfill your goals, complain about things, make excuses for what we do and don’t do. You need to decide what kind of attitude you are going to have then make it happen. Decide you are not going to be negative, you’re not going to complain. Write down your decisions so that when your feelings start to change you can remind yourself of where and why you started. Be generous of yourself, helpful to those around you and be happy! Do you realize how contagious that is? Your influence will naturally grow when you start to focus on what you can do for others. You can change someones whole day, life or mind just by what they get from your attitude. Your mind is amazing in so many ways, including how it processes information and delivers your thoughts or impressions. Sometimes however your mind can let you down. You can let something assumed about a situation or someone become a reality in your mind, and it can become a stumbling block. Challenge every assumption, replace it with evidence. Don’t be afraid to test ideas. Action is the most powerful motivator to keep going. It’s better to start something and adjust as you go than it is to keep taking notes, planning and never starting at all. Taking action actually makes you feel good about yourself. Don’t worry if you make mistakes, pick yourself up, readjust, try again, learn from them, try something different.. but move forward, always move forward. Set a timer and just GO! Grab a pen and paper, set the timer for 30 minutes and just write something for your first blog post, or dump all your ideas onto paper that you can build out later. Just do it. No more excuses. Without doubt the most successful people you know of in business were trained, mentored or spent time with other like-minded entrepreneurs to gain their success. Nobody can really do it alone. You need mentors to show you how to start a business online, and then to help you keep growing it. There are lots of ways that you can develop yourself for free online. With YouTube and blogs, and numerous other types of reports and downloads, you can try and pick your way to business success. But this is the slow and painful way, fraught with little to no income, lack of direction and knowledge of what to implement. You would never live in a house that was not built by a qualified builder right? Image the foundations caving in after a little while, or the walls and roof being shaky because the structure was not right in the first place. If you can take a step back and look at your business in a long term way, as a structure that needs to survive and contain a growing family, then maybe you can understand why it is so valuable to invest in your learning and growth. This is why it is important to have mentors. And Bren and I can help point you in the right direction when you join us. If you missed it, the preceding article was How to Start a Business Online – Blogging Everyday.